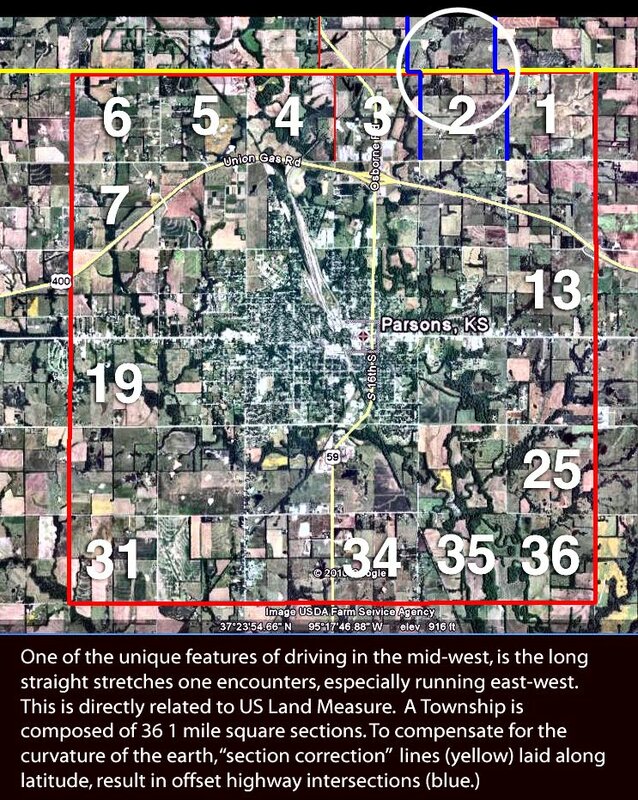 Oil-Electric: What Are We Doing in Parsons, Kansas? Port Townsend, today. 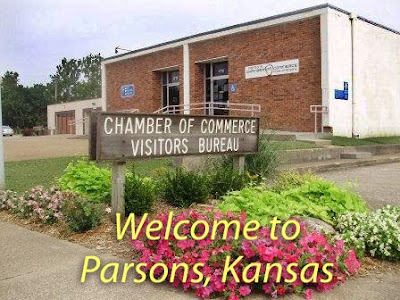 A recent news item drew me to Parsons, Kansas. If you have never been to Kansas, you are in for a special treat. Being from the Pacific Northwest, the first time we traveled east of the Rocky Mountains, I was flabbergasted at my first look at the mid-west. 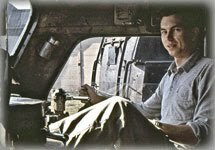 My first road trip across this interesting country was in the early 1970's. My new bride was anxious for me to meet her family in North Dakota. I could write and entire blog about that trip, but I know you are anxious to find out what flimsy excuse I have this time for deviating from Oil-Electric's Mission Statement. 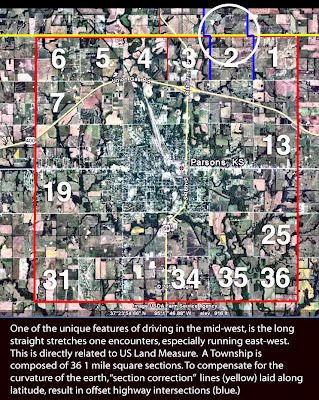 When I gaze down upon Parsons, Kansas, in Google earth, the checkerboard symmetry of roads and highways reminded me of a remark I made to my newly acquired father-in-law; "Gee, there are some really long stretches of "thump-thump, thump-thump" concrete roads out here that go for miles, with offset intersecting side roads!" At any rate, I am sure you are anxious to learn what are we doing in Parsons, Kansas. The last trip we made east to west across Kansas, my wife took over about half way, as we headed for Colorado. I awoke from a nap, and looked out the window. There in the distance, a church steeple, water tower and grain elevator - another town. I asked my wife, "How fast are we going." She replied "80." I said, "Step on it!" 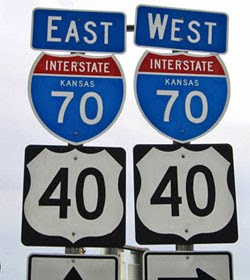 But neither the endless Kansas freeway nor a lesson in land surveying brought us back to Kansas today. We are back in Kansas, because today, at Dwayne's Photo, in Parsons, Kansas, the last roll of Kodak Kodachrome film will be processed. An article appearing in the New York Times, tells of a railroader, who, upon learning about the end of processing, sent in 1,580 rolls of film to be processed before the machine was shut down. 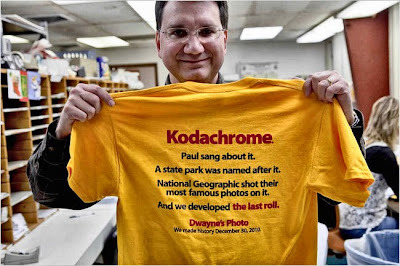 As the article points out, Dwayne's is not closing, but ending Kodachrome film processing. You can get one of those "collectible" T-shirts at Dwayne's web site. I include here, a "Tribute to Kodachrome" Be sure to run the slide show. For decades, the prima film chosen by photographers, from National Geographic to armatures who appreciated capturing an authentic image of what they were shooting. Some of my best shots were captured using Kodachrome ASA 25. The color rendition is as accurate as when I tripped the shutter more than 50 years ago. On-line processing cannot replicate the crystal clarity of properly exposed Kodachrome. These slides are more than 50 years old, with no extraordinary "storage"
Slow ASA 10, later 25, speed and very fine grain yielded slides - or prints - as crystal clean with precise color as the day the film was exposed. You had to have a steady hand, especially in low light conditions and fast action for the capture. But if you pulled it off, the results were stunning, even after all these years. So momma, don't take my Kodachrome away"
One of the interesting intersections of Kodak and railroading occurred with the failed merger of the Santa Fe and Southern Pacific. 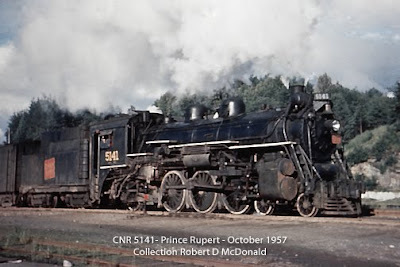 I guess the merger was so assured, while the filing was still being processed by the Interstate Commerce Commission, the railroads began re-painting locomotives with the anticipated new color scheme! 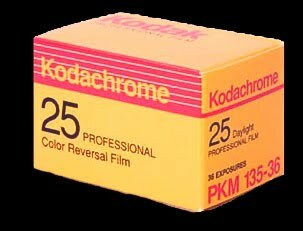 Because of the similarity in colors used by Kodak packaging, rail photographers dubbed the new paint scheme "Kodachromes." 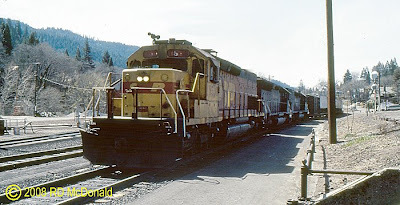 Southern Pacific 8530, Dunsmuir California, April, 1991. 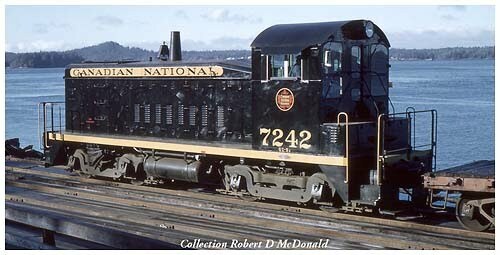 When the merger Southern Pacific and Santa Fe, fell apart, approximately 306 ATSF locomotives, 4 ATSF cabooses, 10 ATSF slugs, 96 SP locomotives, and 1 SP caboose had been painted in the new scheme. The railroads made an effort to repaint locomotives in their standard paint schemes. Santa Fe repainted all Kodachrome’s still on roster by 1990, though some engines “escaped” - were sold, in this scheme! Railroad Stuff: Southern Pacific 8530, Built as General Motors SD40, 3,000 hp, December 1978. SN: 786174-32. Modified as SD40-T, April 13, 1991. Share with us your "Kodachrome" moment in the "Comment" section below! See Also: Are We Still in Kansas? Robert, is it so flat in Kansas that you can watch your dog run away from home for a whole week?